CPL manufactures and delivers its 1000th vehicle conversion to Access Hire Nationwide. 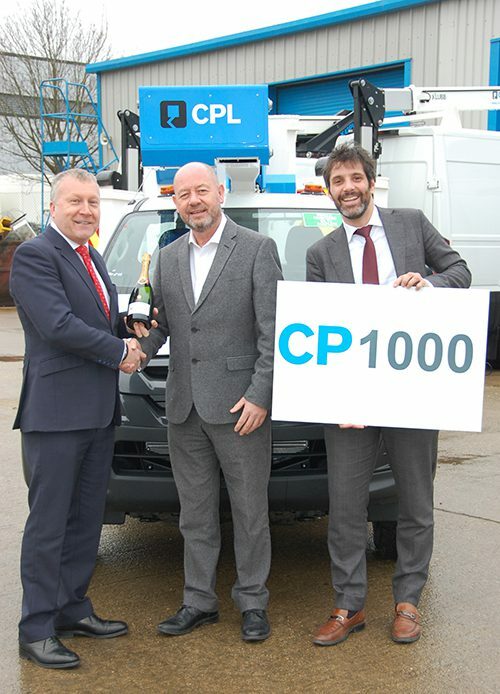 Kettering, January 29th 2019 – CPL, the UK aerial access platform specialists have manufactured and delivered its 1000th vehicle conversion to long-time customers Access Hire Nationwide. Conceived in 2011, Cumberland Platforms Ltd has gained the respect of the Utilities, Rental, Telecoms and Arborist sectors to name just a few. This is due to the quality and reliability of the aerial access platform on vehicles that are manufactured in the UK. In February 2018, Klubb Group acquired CPL. The group is among the European leaders with a turnover of €80 million, 350 employees and produces over 1,400 aerial platforms per annum. The acquisition was due to a very successful relationship as manufacturer and dealer which began in 2016. Klubbs designs have given CPL a new angle in the UK market with their innovations. CPL is the market leader on 4×4 pick-up platforms and now with the Klubb van mounts full range, the company is leading the UK van market. ”We are delighted that CPL has reached this milestone within the short time that the company has traded. We could not have done it without our fantastic team at CPL. Everyone here has helped to make the company the success it is today which makes me very proud to be the Managing Director. We have listened to our customers and grown with them. Therefore, we are growing to be the market leaders in the UK.” – Paul Murphy – Managing Director. The 1000th Vehicle conversion is the market leading pick up aerial access platform that CPL are known for. It has been delivered to Access Hire Nationwide, one of the largest specialist vehicle hire companies in the UK, who has been a loyal customer of CPL since 2012. We would like to thank them for their continued support.